The Gold Coast, in Queensland, is a world famous destination for not only holidays, but weddings too. But The Gold Coast isn’t the only popular spot for a “location” wedding – Queensland has places like Far North Queensland, Noosa, Sunshine Coast, Hamilton Island and the refurbished Hayman Island, not to mention Brisbane itself – all wonderful backdrops for couples looking for a tropical, holiday-feel wedding. 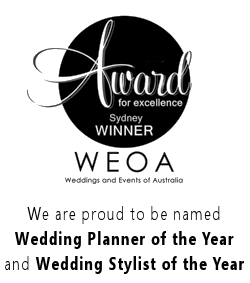 Wedding Planner Gold Coast Location weddings are making a comeback where couples are enjoying having a 3 day wedding event. The weddings are more intimate, but feature 3 days of festivities leading up to the wedding day which can include rehearsal dinners, spa days, boating adventures, golf days, cocktail evenings and intimate get-togethers before and after the wedding day. At Nightingales, we are finding that when our couples choose to plan their wedding in these locations, they want to have a festive celebration where they spend more quality time with their family and friends. The Gold Coast certainly has evolved into a destination that offers a wide variety of locations, and it is constantly opening new venues. Of course the weather on The Gold Coast (and Queensland in general) plays a big part in its popularity as a wedding destination. What is it they say? “Beautiful one day, perfect the next”? So, many couples have taken advantage of the outdoor venues and beach weddings available on the eastern coast of Queensdland. All of the major hotels on the Gold Coast have gone through major renovations and new hotels are being completed yearly. The Hilton is certainly setting the par for the next level of luxury. Gold Coast Weddings Queensland also has a pick of “water views” venues and world class chefs are taking their place in the kitchens. It is not hard to find a spectacular venue on the Gold Coast and they are scattered from Coolangatta right through to Runaway Bay on the coastline. We have even offered our Bride and Grooms who prefer a more intimate experience exclusive luxury waterfront homes. In one wedding Nightingales planned, the ceremony was on the property’s waterfront lawns, and the reception was on a boat where the guests were picked up from the home’s boat moorings. The guests enjoyed a fabulous night on the water with a cocktail style reception. The hinterland on the Gold Coast is also a stunning location for couples who prefer a more natural flora and fauna atmosphere. Further up from The Gold Coast is Far north Queensland, which is a paradise with its long stretches of coastal beaches, the Sunshine Coast, Mooloolaba, Coolum, and Noosa all offering world class venues and menus that impress even the most experienced connoisseurs of food. 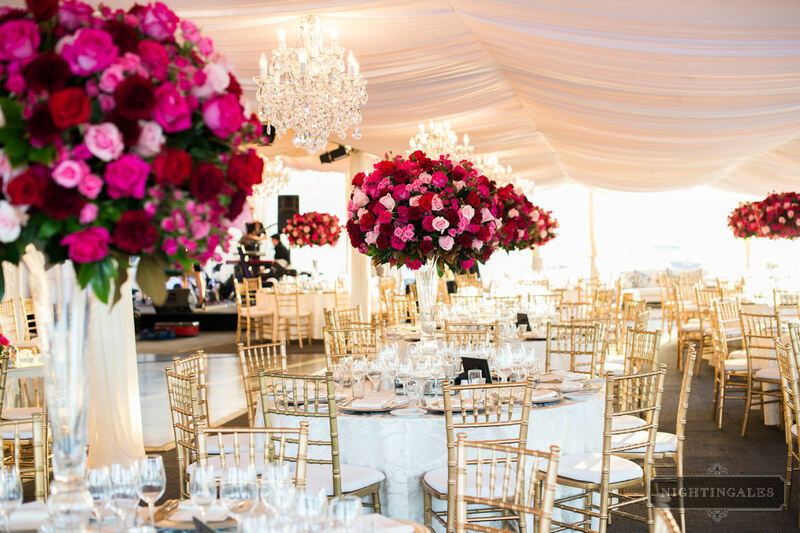 If you are seeking an experienced, well respected wedding planner for your Gold Coast Wedding, contact Nightingales today.